Enjoy the evening sunlight in a peaceful forest outside of the city and its noises. 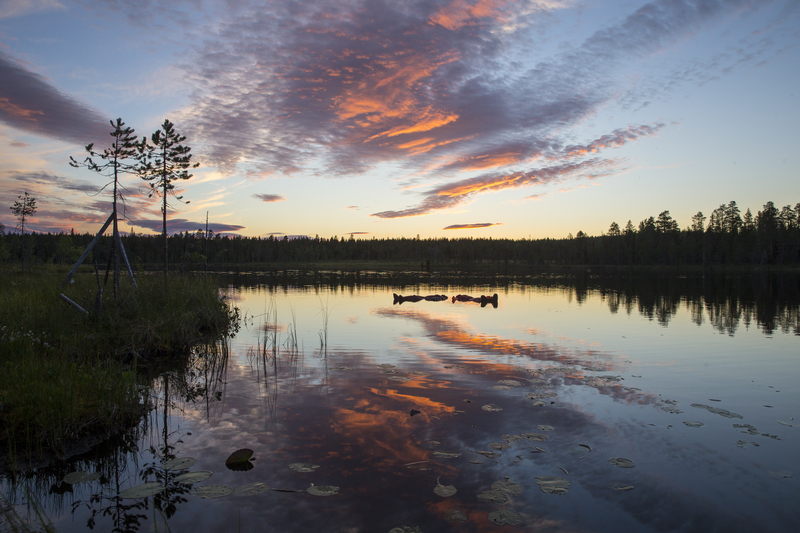 We drive off from the city to reach a wilderness lakeside where the sun does not set. 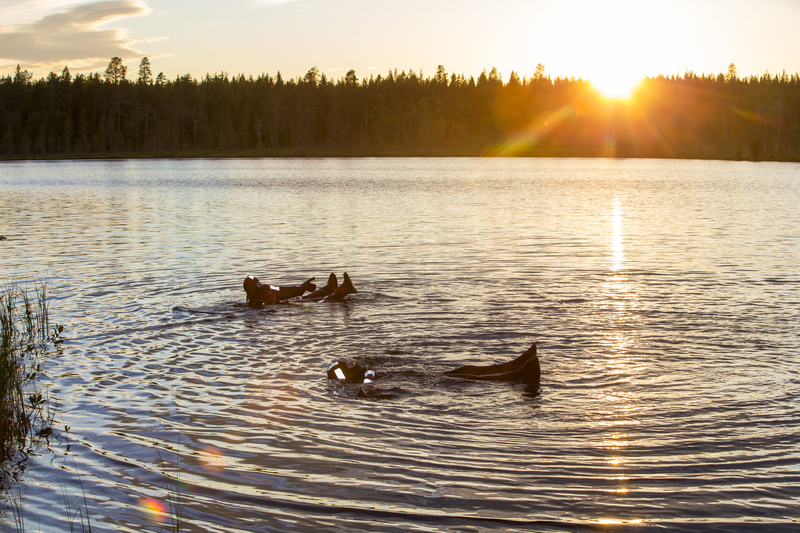 Float away in the middle of an arctic lake glazing in the sky, listening to the birds singing and experiencing nature from a fish perspective. 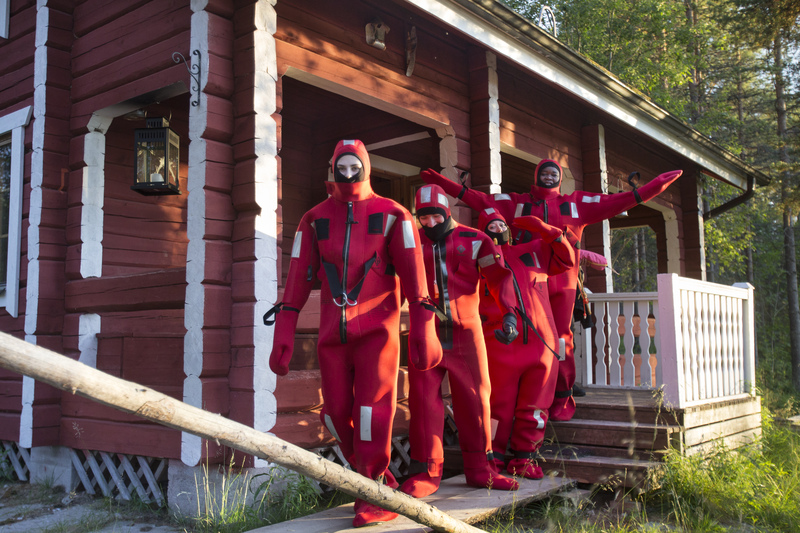 Dressed up in a floating suits we stay warm and dry when entering the lake. Our guide prepares hot drinks by an open fire and we will toast for the midnight sun. With rested minds we head back to the city. Return transfer, mentioned program, coffee or tea prepared on a campfire, guiding in English. Please note, this program is not suitable for small children, minimum height for the floating is 120 cm. Each traveller is instructed well before stepping into the water. 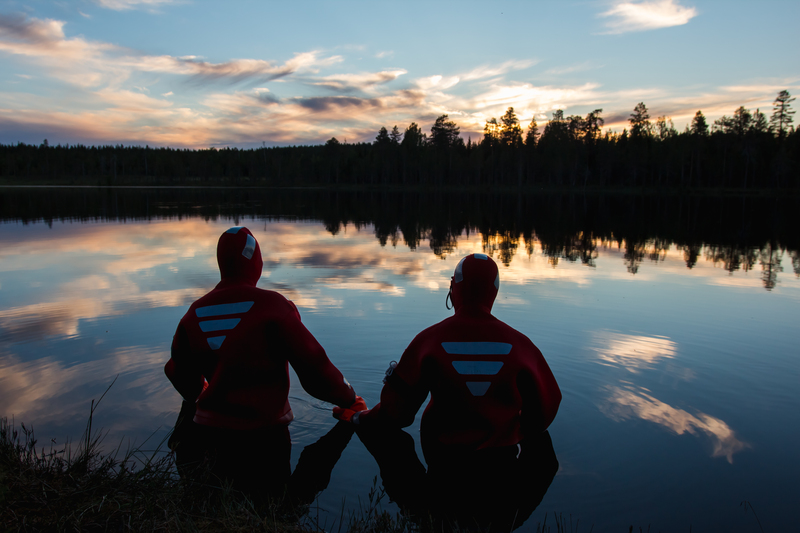 Floating suit will keep you warm and dry inside, no extra layers are needed even in cold water. Swimming skills are not required as the suit will keep you on a surface. Day floating is available upon request.